The JTV 873 PTO is a new series of PTO truck driven systems. 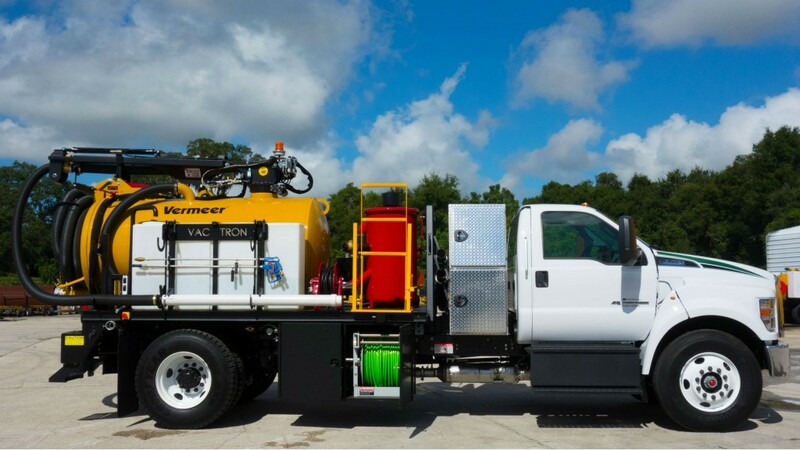 This PTO truck combines vacuum excavation with high pressure jetter capabilities putting it in a league of its own. The Power Take Off of the truck drives a positive displacement vacuum blower that produces 1,000 cfm @ 16 hg vacuum pump. It also comes standard with reverse pressure, 800-gallon debris tank, 300-gallon water supply, 15 gpm @ 3000 psi water pump, hydraulic rear claw door, big red filter housing, and 500' x 1/2" jetter hose reel.